Epic Rap Battles of History is a Youtube comedy series that is in its fifth Season. The show features rap battles between historical and pop culture figures that are in some ways alike, and in many ways different. Featuring the rapping talents of musicians EpicLLOYD and Nice Peter, the show combines incredible musical skills with hilarious imagery to create a one of a kind historical smackdown. The battle highlighted here pits two teams of adventurers from American history against each other. One connected the early United States to the Pacific, and the other is totally excellent. 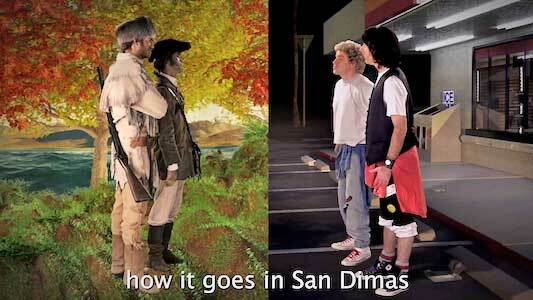 Who will come out on top in this showdown between the duos of Lewis and Clark, and Bill & Ted? 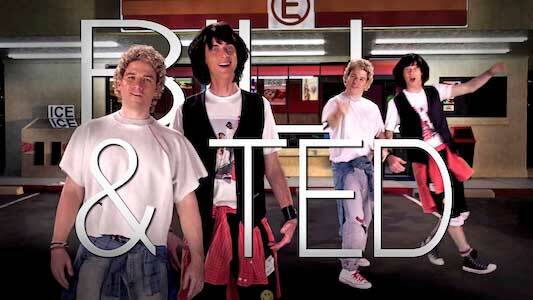 Bill & Ted are played by EpicLLOYD and Nice Peter. The track is very rhythmic, and fits well with both teams’ individual styles. Lewis and Clark deliver their lines in tandem, and sound totally in sync with each other. Bill & Ted have a more call and response delivery, where one says a line and the other adds to it with his. Their back and forth flow really highlights their friendship, and the two different styles from each group really shows a great understanding of all the characters from the artists. This also keeps the battle from just being a delivery of jokes, and makes it feel special from other battles the show has done. The video is shot in the same style as the rest of the ERB catalog, with the two teams rapping in front of green screen backgrounds that fit them. For Bill & Ted, that means a convenience store, and for Lewis and Clark it’s the wilds of the Pacific Northwest. 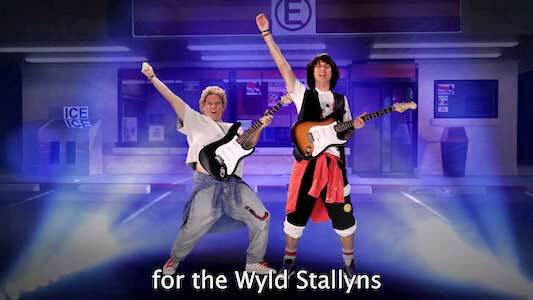 Bill & Ted are dressed exactly like they are in the movie, so that means both are wearing chucks. The highlight of the video is when they point out that Sacagawea was the true explorer of the group, and the only reason why Lewis and Clark survived as long as they did. This leads to a hilarious bit where we see Sacagawea battling ferocious animals and the wilderness as Lewis and Clark attempt to keep battling. The pioneers get in some great lines about their place in US history, Bill & Ted’s phone booth being a Doctor Who ripoff, and about how hot Bill’s step-mom is. This leads the Wyld Stallyns feeling defeated until their beloved friend from the future Rufus pops out of the time machine and reminds them to be totally excellent. This is a really fun video that pairs two groups you wouldn’t imagine battling each other, and has plenty of awesome jokes to keep you laughing while you head bob. BIll & Ted wear chucks as they battle Lewis and Clark (portrayed by YouTubers Rhett & Link). Customize a new pair of chucks for that San Dimas look. Click on the links below to get them.